Hiding away from my camera! 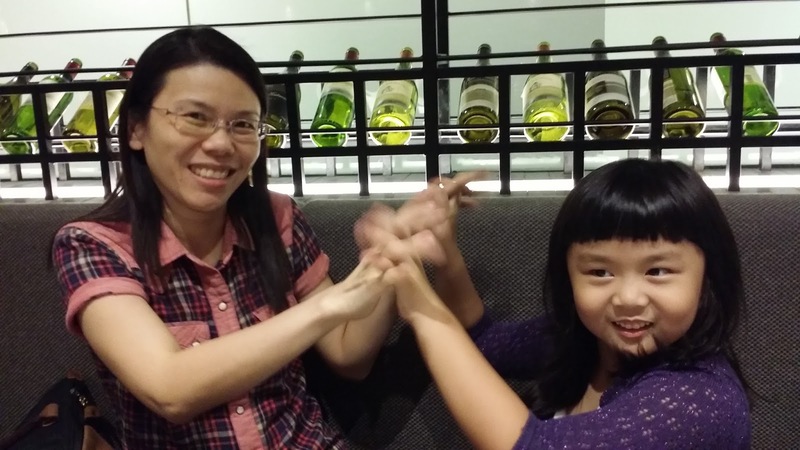 Since is school holiday is more easy to meet up as these girls love dining with Alyssa so we decided to go Mad for Garlic for dinner. 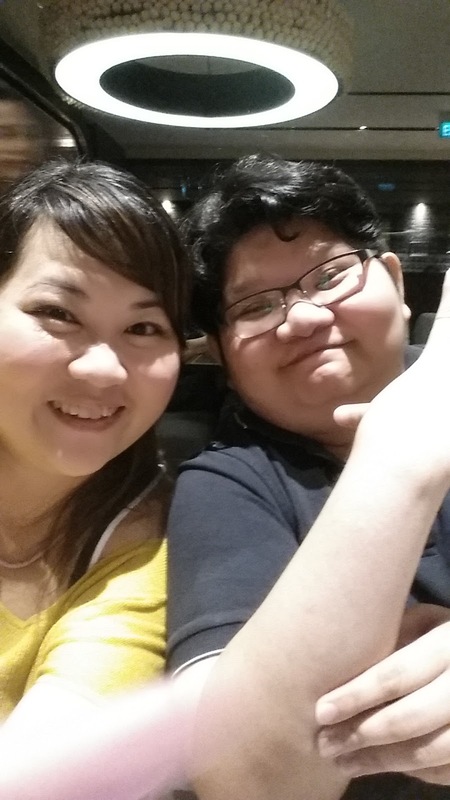 Is my first time trying as I always don't get a chance to go last time when is located at level of Suntec cos I will always ending up eating other things and tends to forget that they are just located there. 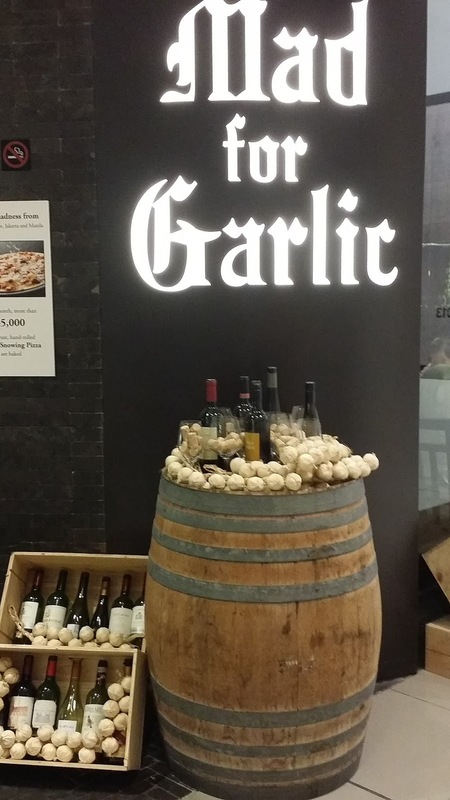 Mad for Garlic is a Korean theme Italian restaurant, simply love the garlic decoration outside the shop and wide variety of wines available for ordering! And there is always a queue whenever I passed by them luckily we did make a reservation. 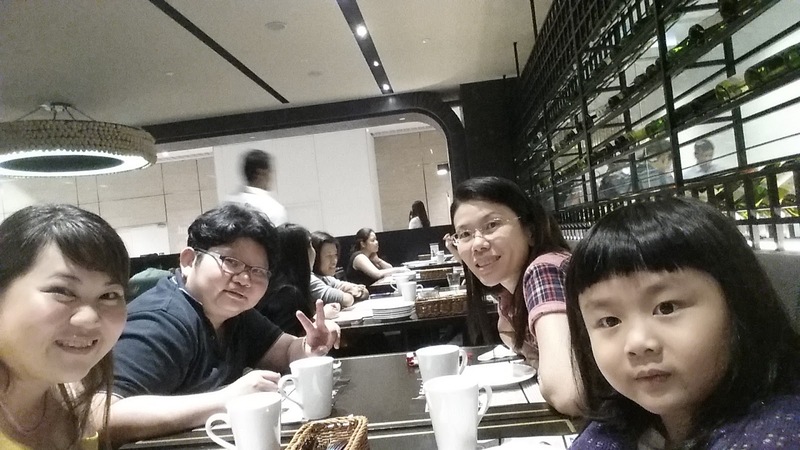 So reservation is a must if you are going at lunch and dinner peak hours. 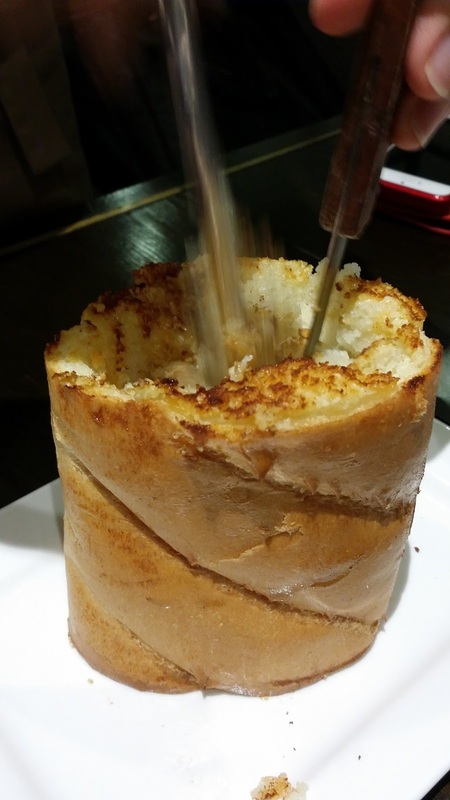 We are actually deciding whether to have Dracula Killer or Garlic Bread Tower end up we have Garlic Bread Tower ($12.5) as we do not wish to be too ambitious cos there is still a lot of other food that we would like to try. 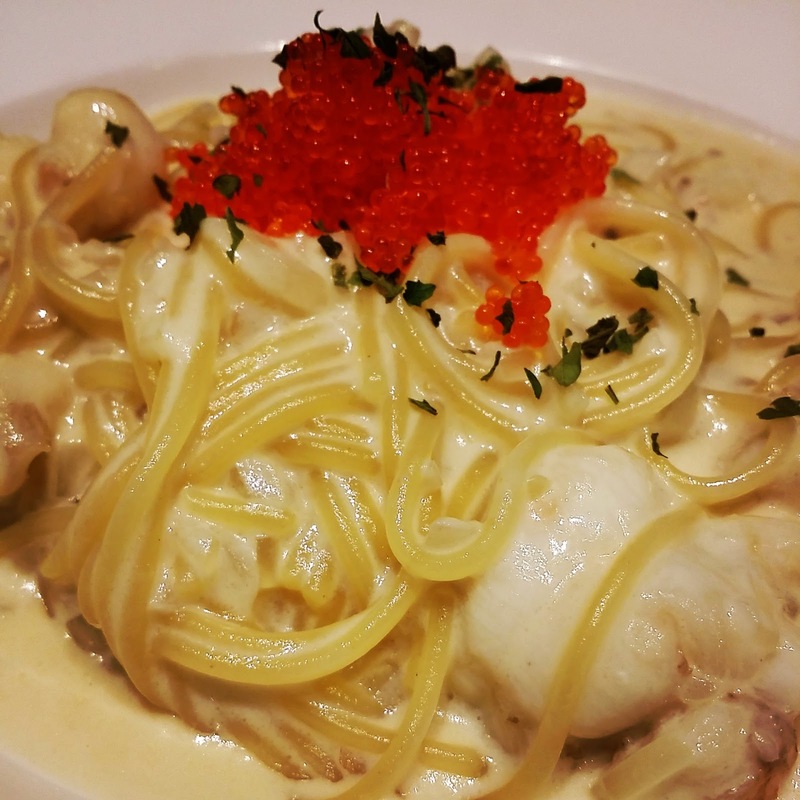 There are 5 of us so we each choose a main course to share so I choose Lobster Pasta ($23.50) a Garlic cream sauce base with lobster meat and fish roe perfect combination good to share cos if you eat too much will feel a bit creamy and will feel abit jek lak. 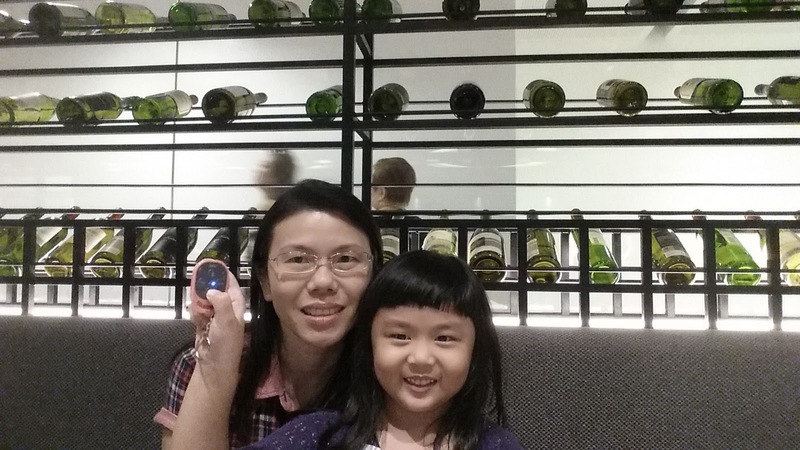 Alyssa's choice (we describe to her about the pizza) is actually one of our choice - Garlic Snowing Pizza ($22.50). 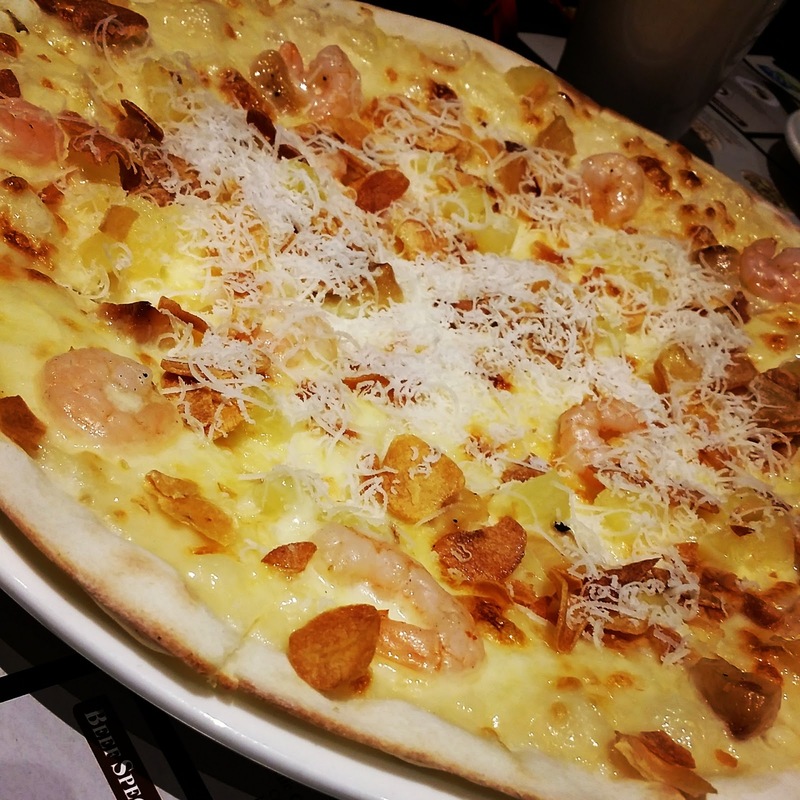 Sweet garlic pizza topped with shrimps and pineapple. When it is served they also shave some cheese on it! 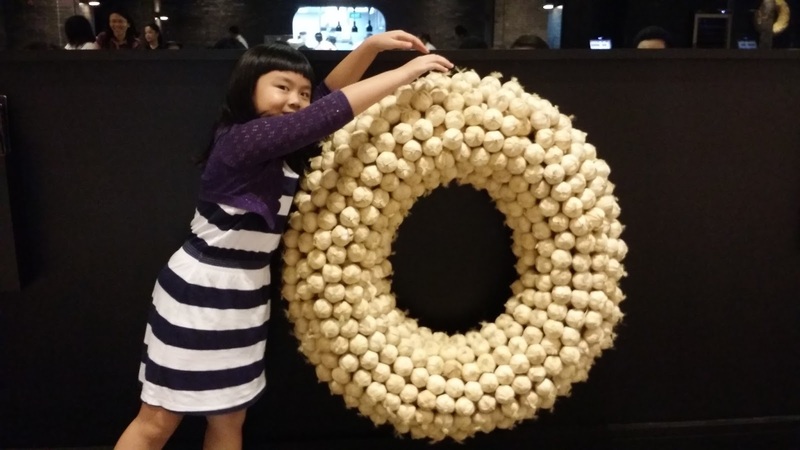 Cheese lover will love it! 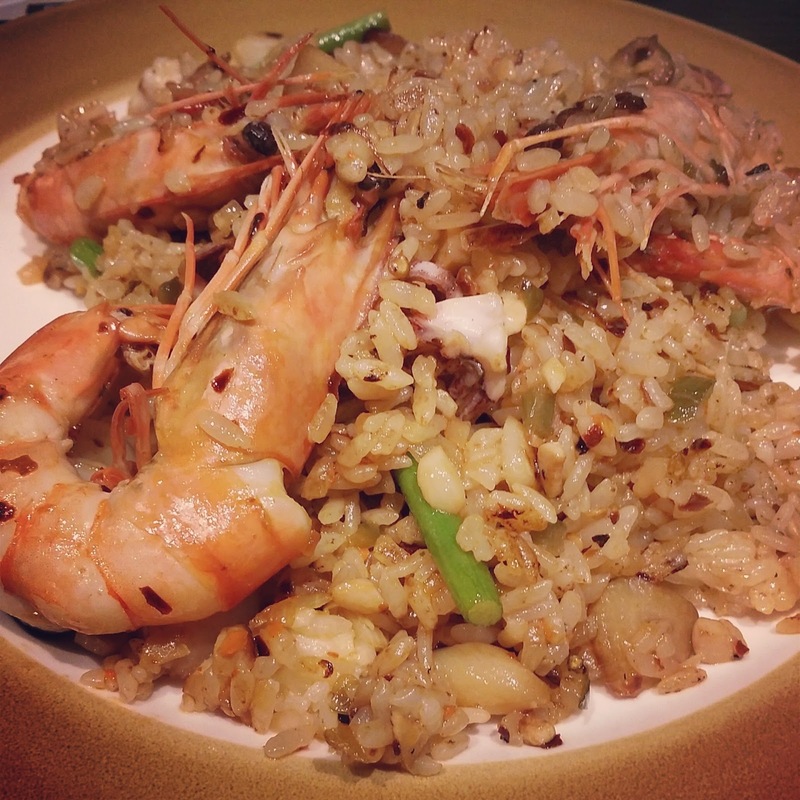 Assorted seafood rice ($22.90) - it is cooked with spicy pepper seed and assorted seafood. A tad oily but is really nice love the spicyness and the fresh seafood! I love the way they de-shell the body of prawn cos is easy to eat too! 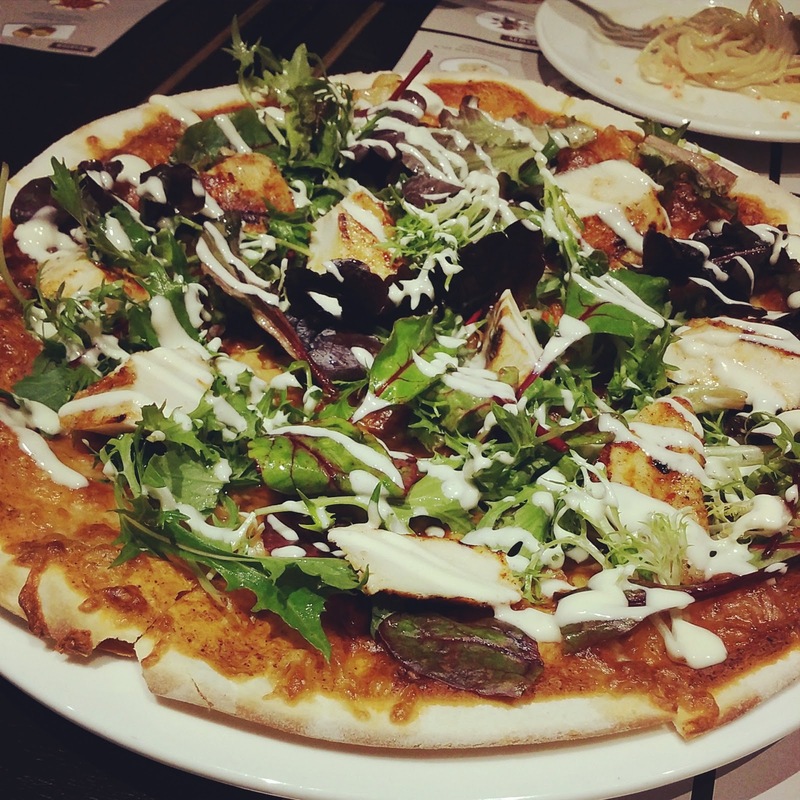 BBQ Range chicken pizza ($21.40) Hot BBQ sauce, vegetables spicy grilled chicken and cheese. Chucks of chicken can be found love the green that goes well with this combi! 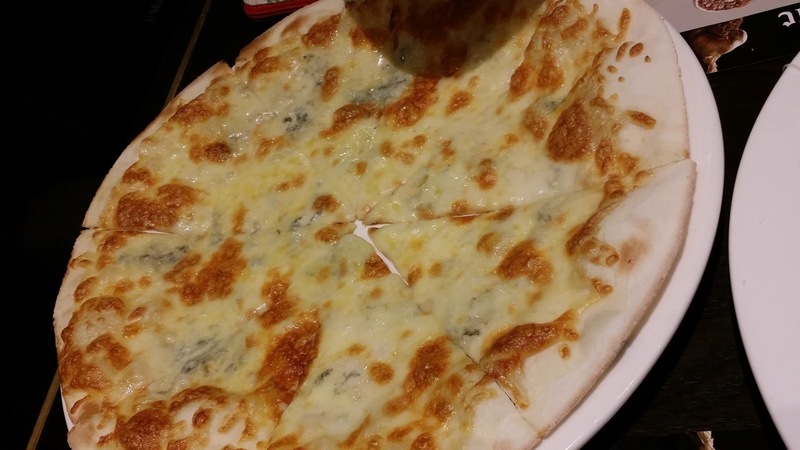 Gorgonzola Cheese Pizza ($21.40) very unique way to eat this cos you need to dip into honey which is served together with it. 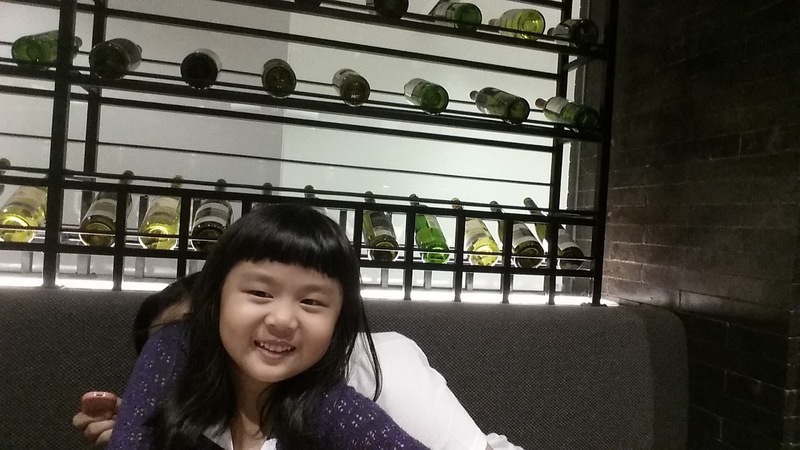 Alyssa simply love it cos of the honey dip happy girl eat alot too! 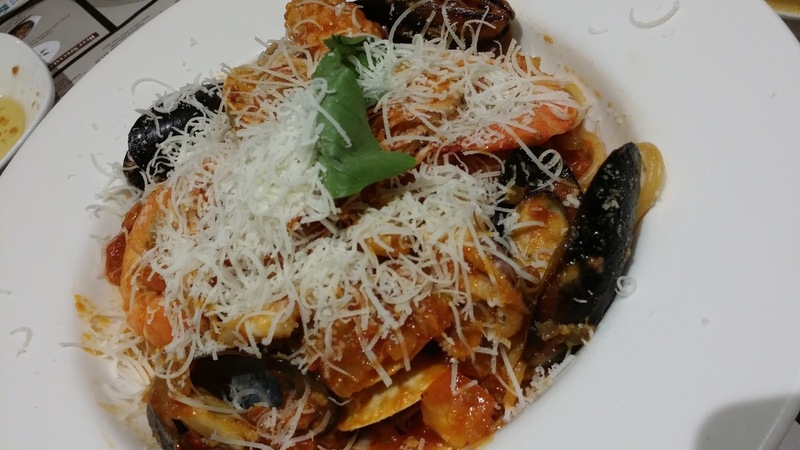 After all these we feel that we should go for one more main to share so we ordered seafood pasta (tomato base) The seafood really fresh and sauteed with the original Italian tomato sauce. Shave cheese also added in the pasta after served!